Greetings Fan's & Friends of Powerhits281 & Mz. Fee's Grown Folk's Party Live! I am tickled pink to announce an upcoming interview that I've been dreaming of for the past few years that is finally coming to pass. 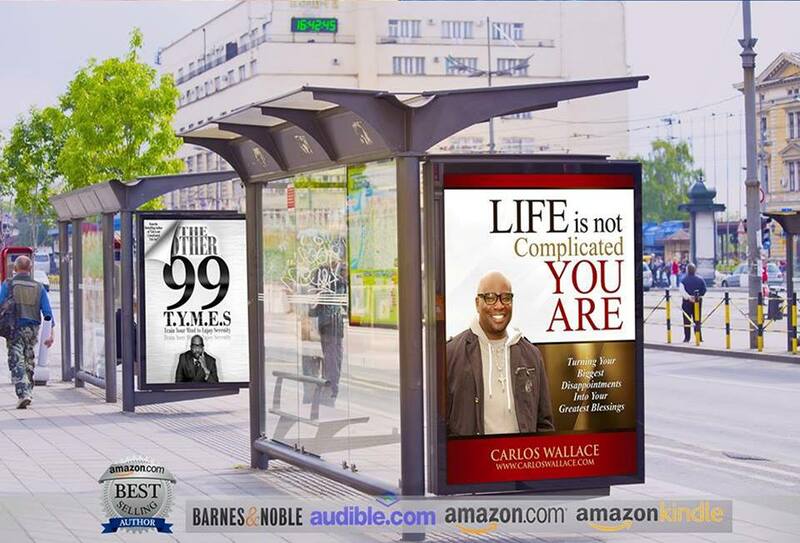 I will have the honor of interviewing Best Selling Author/Philanthropist,/Professor/Organizer Carlos Wallace. Author of Life is Not Complicated You Are and his latest book The Other 99 T.Y.M.E.S. both Best seller's. I have had the pleasure of watching Mr. Wallace as he maneuvers through project after project with an unwavering fire and passion that I have never seen before. Mr. Wallace has achieved such phenomenal accomplishments that all I can do is be in awe of his humbleness as well as his pride. I first encountered Carlos Wallace a few years ago when he was posting about his upcoming comedy show. I was intrigued so I attended Houston's All Star's of Comedy. I was blown away by all of the talent & the fact that it was sold out and PACKED. I was so proud and couldn't wait to attend the next show. Since then, I have watched comedian after comedian become more known, popular and famous. It was as if everything that Carlos touched turned to gold and he just keeps on impressing and giving and showing how to get things done. I can't wait to find out what else Carlos Wallace has up his sleeves, make sure to tune in and catch the interview this coming Thursday, May 4, 2017 during my show 4:00 P.M. to 6:00 P.M. In the meantime, check out his website(Carlos Wallace) and I'm sure that you will agree that this phenom is definitely one to watch. Remember, be blessed not stressed & never give up on your dreams. If someone tells you that you can't do something, show them that you can because you can do ALL things thru Christ that strengthens you.